The publication and distribution of a unique guide combining 12 successful cases of the Ukrainian reforms will give an opportunity to create a tool for studying innovations in the reforms system for public administration and society of Ukraine. A presentation of “Ukraine: the Way of Reforms” project was held in Kyiv on August 14 with a lecture delivered by Oleksandr Starodubtsev, ex-head of the Department of Public Procurement of the Ministry of Economic Development and Trade of Ukraine. Oleksandr will also deliver his lecture in Lviv in September 2018; we will announce the exact date. 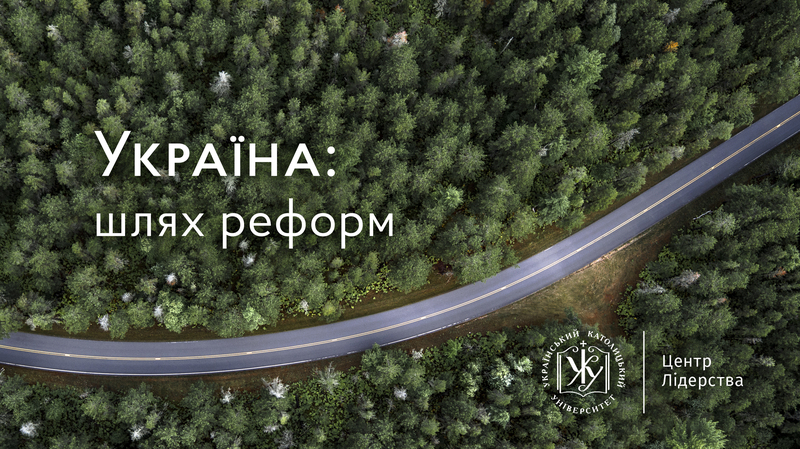 And now we would like to draw your attention to the expected result of this project – “Reforms Book.” This is a collection of 12 training cases developed by a group of experts based on examples of reforms implemented in Ukraine in recent years. Our country is on a great path – from the Soviet past to the European future. And the Ukrainian society activated the changes processes after the Maidan events and perception of it being an important element for building the state: they take place in virtually all spheres – public sector, business and, most importantly, state apparatus. But good examples are required for timely and successful changes. Ukraine already has examples of successful reforms and they can inspire society to be more active in the reform processes. “Reforms Book” guide with the elaborated “teaching notes” is a unique educational toolkit. Socially active youth, students, civic activists, and opinion leaders can participate in reforming many other areas having learned about the experience of successful innovators. 2) Nationalization of PrivatBank to prevent banking sector crisis in Ukraine. 3) Reforms in the Prosecutor General’s Office of Ukraine. David Sakvarelidze. 4) Naftogas. The way to energy independence through refusal to purchase gas from Russia. 5) Reform of state-owned enterprises. Introduction of corporate governance. 6) New country. Shaping conscious civic society. Valerii Pekar. 11) Volunteer landing forces in the Ministry of Defense of Ukraine. Yurii Husiev.